If you are considering taking a gap year begin to think about saving up for your travels as well. Opening a savings account is an excellent way of getting together a lump sum to fund your trip, but deciding on the type of account you want is important to making the most of your money. Decide how long you are willing to put away your money, how much access you would like to your money, and how much you will expect to deposit, and how often. With these decisions made, shop around for the best bargain to get your money working for you. Many savings accounts offer consumers a great interest rate but the small print reveals that you will need to lock away your money for a set number of months or years before reaping the full benefits. Basic savings accounts, for example, will require you to make consistent deposits of a minimal amount before giving you the highest interest rate possible, or even the yearly bonus interest that you agreed upon. Notice accounts also require you to leave money for the long term, and many require a notice period of several weeks before you can withdraw money. In fact, if you attempt to take money out of a savings account before the agreed upon time many organisations will slap you with a fee. Read over the fine print carefully so that you are always aware of the terms of a savings account before you agree to them. If you are okay with putting away money for a few months or years then by all means go ahead, but if you like more access to your money look for a savings account that also comes with an ATM card. These accounts are designed to give you access to your money when you need it, and if you would like to have access to your money while you are travelling (for example, in case of a medical emergency or change of travel plans), then these might be a smart way to proceed. As with anything though, make sure you understand the details, for example if a fee is charged when you use your ATM care, before signing your name and turning over your money. The final big decision for choosing a savings account for your gap year is how much you will be depositing to the account, and how often. Many savings accounts require either a minimum balance (a certain amount of money you must keep in the account), a minimum number of deposits per year (in monetary terms or in the number of deposit) or both. Your own savings habits could bring you benefits as well, such as signing up for a savings account that allows you to automatically deposit a certain amount of money from a current account every month. These are terms that you will be able to discuss with any representative, so be sure that you are clear on them all before opening a savings account. 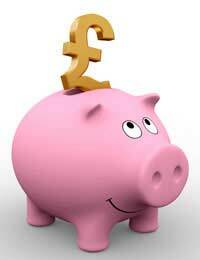 Savings accounts are an excellent way to build up the money you will need for your gap year. Before opening a savings account you should do your homework and discuss the terms of every account that you are considering with a representative of the bank or society. When you are comfortable with a certain type of account, be ready to provide proof of your identity and address before being allowed to officially open the account. Then sit back, relax and watch the interest build up – and up, and up if you keep depositing.